I can understand that some people can't take the power, rawness or the taste of clear blanco tequila. Well..... not really but anyway, for them there are aged tequilas that have different taste profiles and are smoother, more flavorful and sweeter, with less harshness. The alcohol burn normally mellows in tequila, the longer it's aged. Before we get into 'rested' and 'aged' tequilas, let's explain blanco resting. Normally blanco, also known as 'Silver', 'White' or 'Plata' is bottled directly after distillation, and is traditionally and usually un-aged, but depending on how busy or backed up a distillery is, can be stored in stainless steel tanks, and bottled as soon as possible (usually within 4 weeks). It is legal for Blanco products to be purposely 'rested' for up to 2 months, to provide a smoother or "suave" spirit. This temporary 'resting' can be done in stainless steel or oak barrels, including charred and 'neutral' oak, meaning the wood is 'exhausted', for 1 day less than 2 months, and will still be considered 'blanco'. There is however no limits and no rules about how long a blanco can rest in stainless or in glass. Blanco is the purest and most traditional expression of tequila, and in a ruling in 2012, it 'supposedly' made clear that there wasn't supposed to be any additives added to blanco tequila according to the revised NORMA Oficial Mexicana- NOM-006-SCFI-2012 sections 4.36.1 and 6.1.1.1 .If you read this though, it shows how the 'rules' can easily be misinterpreted, and also says that additives in blanco are allowed, at least that's how it reads. A prominent and knowledgeable tequila educator had extensive conversations with the CRT, and was told "additives will not be permitted in blancos", and this was to take effect after February of 2013. So as you can see, this is a disputable and confusing issue and this nonsense seemingly continues to occur. This NORMA 'loophole', speaking out of both sides of it's mouth is likely there for the benefit of the large brands that have already set their profile on these additives. It appears this is not being enforced, and after all....money talks. Remember with pure blanco, there should never be anything added to the cooked agave juice, other than water and yeast, and yet we often taste an overly sweet or creamy custard-like vanilla, or candy-like profile. A top producer told me personally, that these flavors don't happen without being in an oak barrel, and vanilla flavor is not a natural flavor found in the agave plant, and no blanco should have vanilla flavors. This producer also mentioned that some blanco brands are using agave syrup, glycerine, sucralose, stevia, and more to produce their blancos. This situation with blancos needs to be tightened up.... and fast. Blanco is the 'basis', it's 'what you are' in a natural, pure, untouched state...like standing in front of a mirror, in all your glory. What you see (or taste in this case) is what you get, and you either like it or not. Purists like myself, like the floral, earthy/minerally, citrus, vegetal flavors of pure blanco. This legal temporary 'resting', smooths or softens the flavor a bit, but does not impart the wood flavors. Some brands that do this 'resting' in oak are Herradura (45 days), Milagro Select barrel (59 days in french oak), Alma de Agave (50 days), Casamigos (59 days) and EL Conquistador blanco among others. As a true blanco lover, I can taste a rested blanco especially if it was in wood, and I myself do not prefer 'rested' blancos at all. I don't want it softened or smoothed, I want it raw, pure, bold and natural. As far as I'm concerned, if you want it softer.... go for a Reposado. The CRT (Tequila Regulatory Council) says Tequila must be 'aged' in Oak. It can be new or used, charred or not, and it's simply left up to the master blender. As you probably know, most brands use 'used American white oak whiskey barrels', and Jack Daniels and Jim Beam are the most popular. Scotch whiskey barrels give a dryness, which works well with keeping the agave forward as much as possible, without adding other elements. Some high end and well aged tequilas, use Sherry barrels which add fruitiness, and probably are best suited for extra anejo, while Brandy barrels will add sweetness. French oak, Canadian oak, Cognac barrels, even certain wine barrels, are occasionally used as well, with American and French oak used most often in tequila. As in the UK, barrels are often referred to as 'Casks'. American oak is cheaper and more commonly used, and is more dense so it can be sawed instead of hand-split, meaning it's less labor intensive and cheaper. Oak trees destined for barrels, ideally grow in cool climates, which gives them a chance to mature slowly and develop a desirable tight grain, and 'Quercus Alba' is the type of white oak, most grown in the United States. I have heard that tequilas aged in American oak may be more aggressive and stronger in flavor, but sweeter with more vanilla and a more creamy texture, compared to those aged in French oak, which are usually more subtle and spicy, with a 'softer' silky and satiny texture. Remember that the use of smaller barrels allow for greater control, and impart more wood character into the tequila. The reputable brands don't want the barrels to 'overpower' or add too many additional flavors, and choose instead to highlight the tequila. If you're making a sweet, complex, flavorful, top end tequila, and these usually cost a lot more money, aging in different barrels adds a nice flavorful profile. Some people buy 'single barrel' tequilas which are more expensive, but keep in mind, this just means it was not blended to a consistency with juice from other barrels before bottling. Single barrels mean tequila is taken from one barrel and bottled, never touching another liquid, called 'barrel to glass', but doesn't mean it came from a 'single use' barrel. A 'single use' barrel is a barrel that is only to be used once for that exact spirit, like American bourbon. So American bourbon barrels are 'single use' barrels for bourbon, before they go off to tequila producers, who can use them as much as they like. American White Oak barrel- (ABOVE) as seen on the Stay Adventurous website. A barrel maker is called a 'Cooper'. Used bourbon barrels can be used multiple times, but that depends on the quality of the barrel, after normally lengthy bourbon aging. Most of the time, getting 5-6 turns out of an American 'bourbon' barrel is normal, but it also depends on if it's used for Reposado, Anejo, or Extra Anejo. Obviously, there will be more usage out of a repo barrel, and less out of an extra anejo barrel. Bryan Tierce of Oro de Lidia Tequila told me that some distillers will scrape the inside out of barrels and re-char the inside, and although that process is better for the environment, it is about the same cost as buying a new barrel. Remember that there will be slight differences between whiskey and bourbon barrels, due to the 51% of corn required to make bourbon, which tends to leave a sweeter taste. The longer tequila ages, the more color and tannins the final product will have, and the condition, previous usage, barrel toasting and age of the barrels, can also affect the tequila’s taste and character. Spirits aged in wooden barrels take on some of the compounds in the barrel such as the vanillin and wood tannins. Concerning 'toasting' or 'charring', a 'light' to 'medium' char or toast only takes off a very thin section, and it can add a smoky taste, yet take away some of the oaky, whiskey, bourbon, cognac taste from before. Brad Boswell of Independent Stave Company said "The lighter char preserves more of the natural oak aroma and flavor, a little spicy and a little earthy, where a heavier char provides more color and caramelization, and a heavier char can provide for more of a sweet smoke note that is often desired." When new barrels are made and are charred as required for bourbon, it is said that 'toasting both mellows the tannins in the wood, as well as changes the flavors the barrel might impart from raw wood, to more spicy vanilla notes, and toasting actually helps release vanillin from the cellulose in the wood. As the barrel 'breathes' the alcohol passes back and forth through the charring, causing the impurities to be filtered out into the wood, as the spirit penetrates the oak pores and absorbs the sulfur compounds, leaving you with a smoother end result. Barrels are best kept in a cool environment away from direct sunlight (ABOVE) as seen on the International Beverage Network site. Scotch Whiskey and Bourbon warehouses find it necessary to rotate large barrels being aged for many years. As with Tequila aging, the barrel 'pulls' some of the spirits into the wood (absorbed into the staves), and this lowers the spirit level and also evaporation occurs, called "The Angels Share", which lowers the level even further. According to Kirk Sigurdson of the Whiskey Wash site, "they definitely do rotate whisky barrels, especially single malt scotch, and in the United States bourbon barrels are moved more often because the warehouses are taller and hotter". Sigurdson explained "it's not just the geographic location of a warehouse or the type that matters, but the internal location within that warehouse where the barrel is stored, as the top of a warehouse receives higher temperatures, resulting in a whiskey which ages far more rapidly." The biggest similarity here, is between American Bourbon and Tequila, due to the climatic conditions of the warehouses in the deep south and Mexico. So because of these 'level' issues, the longer the spirit sits, the greater the air space in the top of the barrel occurs, and in an effort to keep the staves at the top to stay moist, and not start to dry out and shrink, rotating barrels in some industries is a normal practice, but NOT with Tequila.... WHY? With tequila even though they may be using these same whiskey barrels, they are not rotated, as tequila doesn't age as long as whiskey, so generally the Angels Share is not as much. German Gonzalez of t1 explained to me, that weather and humidity is the key, and if it's hot as long as there is humidity, it's better for evaporation but if there is not enough humidity to swell and seal the barrels, he wets the floor and or the barrels so the humidity goes up. He mentioned that the barrels stocked on top would always be hotter than the ones on the bottom, and for that reason, Gonzalez is sure to blend both sections together to maintain a proper flavor profile. Bryan Tierce explained "there is a hole that is taped with a cork, called a 'bung-hole plug' in the top of each barrel and if you rotate to one side, then that entry point gets close to the fluid line and it will leak". (SEE diagram BELOW) by the Lexington Container Company. When you think about it, it wouldn't make sense to rotate a repo or anejo even if you could, since only a max of maybe 10% would be gone anyway. Tierce mentioned, if you notice "you rarely/never see barrel spouts at an angle in a tequila aging warehouse, and as tequila is the least aged spirit (besides vodka, gin, etc), compared to whiskey, bourbon, scotch, rum, etc, the fluid level will be high, thus the angels share low." Adolfo Murillo of Alquimia Tequila told me "we do not ever move or rotate the barrels, as they are very heavy once they are filled, and because of the way they are stacked up, it is virtually impossible for us to move them, and even if we were able to rotate them, we would have leakage." Murillo explained to me that "we do lose a lot of product to evaporation, especially the older XA's, figure approx 10% per year and although the drying of the wood is a concern, a water mist can be applied over the barrels to help prevent some of the drying." Adolfo said "so that, plus the angel's share loss, could be why most producers will prefer to age their product only for the required amount of time and of course, it gets them a faster return on their investment." He prefers to age each expression until he is perfectly satisfied that it is ready, without regard to loss of product, or the time he spends waiting. The two things done most often to barrels, are 're-charring' which brings the depth of char back to original, and 're-chipping', where the inside is scraped and the old char is removed, before the barrel is re-charred. Chipping a barrel is when chopping a section down to the new raw wood, from the inside, to add new oak flavors back into the juice. The reason why most brands don't use 'new' (never used) oak barrels, is that the oak would be too strong and possibly overpower the agave, losing it's flavor profile. This is not what is usually desired, so used barrels with an occasional char or chipping, are used much more often. Barrel charring is not a bad thing at all, and a barrel needs to be cleaned then charred, and burning it out with fire and watering it to control the char, is eventually necessary. In Tequila barrel charring, the inside of the barrel may be 'lightly toasted', or the popular 'medium char', to a heavy full on 'alligator char'. Charred barrels are seemingly burned, pretty much to a crisp, and look like a burnt fire pit after it's been extinguished, according to an article by Jonathan Houston at the WhiskeyWash.com. He reported "the interior of charred barrels are black and have much more ash residue, resulting in a much darker color for the spirit." A Char can also give notes of smoke, chocolate and leather. 'Toasting', is simply a word meaning 'burned to some degree, and as the article explains "unlike their charred brethren, 'toasted barrels' are heated much more gently, resulting in a dark brown toast rather than a blackened char, where toasted barrels add a bit more vanilla flavor to the liquor, as well as spicy accents." This is because the wood hasn’t been burned to a crisp, and the sugars haven’t had time to caramelize making the spirit a bit sharper on the tongue, and toasted barrels also do not impart as much color into the spirit, resulting in a lighter shade. Charring can cause changes in the wood, as any of the various sugars will caramelize to some degree, as well as other molecular changes, and it can cause changes in the oak profile. So which is more for you?.... Well, as charring makes for more of a filter later, it can create a smoother, richer and sweeter tasting presence, compared to a 'toasted' barrel which usually creates a stronger, spicier tequila. I asked about charring to a tequila specialist who visits many distilleries for his job, and asked about the need to clean the inside of the barrels- (SEE ABOVE). These photos can be seen on Amrut-Lifestyle-PVI-Global, guitarsandbourbon and drinkingcup.com. This specialist said "re-charring a barrel can absolutely be used to clean the barrel, but the end goal is to caramelize the natural sugars in the wood, plus any residual sugars from a 'first tequila filled' American oak." He said "you need to think about caramelizing the bourbon sugars, and after each use, caramelizing the agave sugars in those barrel staves. This specialist explained "charring a barrel also acts as a filter, as the char (charcoal) can be a natural filter for the fatty acids and congeners in the distillate itself." He added that "filtering would be necessary and often the more aged expressions may be 'strained' to get rid of any large chunks of char or congeners." A mention on the Voodootiki website says "99% of tequila products available nowadays, employ barrels that which have been re-charred, and this will mean that most of the wood flavors and the prospective whiskey or bourbon flavor that accompany a single use barrel are gone, and the sole flavor left is the smoke and char, from re-charring, and that the barrel will have abandoned the majority of it's color". Now in my opinion, this may NOT be totally true, and this high percentage given seems a tad bit unrealistic, but we can understand what they are trying to say. People also need to realize that some producers actually look for old, used barrels for a neutral, 'slightly oaky presence' to highlight the agave and NOT to add all these additional flavors, and don't care about the lack of dark color. I respect that, as Felipe Camarena and other quality producers' tequilas have a light color in their aged tequilas, which indicates natural, pure, additive free tequila. In response to tricks being used to darken aged spirits, Felipe likes to say "a dark tequila is not coming from aging". This type of pure, naturally aged, clean and additive free aging...... is my kind of aged tequila. Thanks to thewhiskeywash.com for picture (BELOW). Barrels are made thick enough, that cleaning the inside by burning a thin layer and caramelizing, is safe and necessary to keep barrels going, but it must be done correctly. Re-charring is surface only, and maybe an 1/8" or even 1/16" is charred. The amount of liquid filling the barrel is way more than what a small char can influence, and most staves (planks) on the barrels are 1 1/4"- 1 1/2" thick, so there is plenty of backbone to those, for multiple uses and charring. John Welch, a knowledgeable tequila friend put it well, saying "charring is actually like a fresh start for the barrel and makes it like first use again, with no influence from what was previously there." Generally long aging with barrel charring, will contribute to the dark color without the need of colorings and other additives. For example, I know of a very dark and rich, popular anejo and after speaking with the producer and hearing that it is aged for a long time (2 years or more) along with a fairly heavy barrel charring, I realize that this is the reason for the dark and rich color. This quality producer says he uses no additives and I believe him, as that amount of time in the barrel with a heavy char will produce a dark and rich spirit, and there is no reason to assume colorings were added. This though, is NOT always the case, not by a long shot. It's important to know the length of aging if you can find out, to decide if things look legitimate or not. Overall though, I agree that the greater the amber or golden color, especially if they claim it's only aged 3-6 months, the more likely the color is being enhanced with caramel color or other additives. At that point, you may be smart to search for a more "natural' lighter looking tequila, as that dark and rich color in such a short amount of time, is a good indication that colorings were added. Realize that the more you use a barrel, the more it starts to lose it's flavor, so if a barrel is used too much or charred heavily to clean up the barrel (sort of resetting it), it can strip some original flavors, but can reset the barrel to produce new flavors as well. Charring and barrel aging alone can add flavors and color, with the interaction of the alcohol in the spirit within the barrel. As research will show, the wood used, the thickness of the 'staves', the previous fill, the level of toast, the humidity, temperature, entry alcohol level and the number of cycles of the cask/barrel, all play an important factor on how the tequila will mature. Even so, some brands feel the need to fake a longer aging process or add to a flavor profile to enhance the look or richness, or to correct imperfections with additives. As mentioned earlier, although most brands don't use new (never used) oak barrels, as the oak may be too strong, and could overpower the agave juice, there are brands that pride themselves on using new oak barrels. As many people know, new bourbon barrels must be charred, and by law can ONLY be used once to make bourbon (ABOVE) like this new 53 gallon charred barrel, made by the Lexington Container Company. As such, they get sold often to tequila producers, and give a slightly sweeter profile than whiskey barrels. The first time it's used for tequila it's called a 'first tequila use barrel'. Whiskey barrels are also often sold after only one use, as many whiskeys along with these bourbons, are aged 8-20 years. I understand there is NO LIMIT or rule on how many times these barrels can be used, and it's up to the producer, but I've heard 7-9 times or more is about normal. Getting quality barrels is critical, and a good first 'tequila' usage (after being purchased from a whiskey/bourbon company) will release the largest share of sweet whiskey flavors, without using 'essences' and 'additives'. As one brand says, like with extra virgin olive oil, or the first pressing of grapes, the richest flavors are going to come from the first use of that whiskey seasoned barrel, and they look for barrels that have released their heavy wood essences into the whiskey, and absorbed some of the nuances and sweetness of the whiskey. They said that using that same barrel a second time for tequila, would result in a reduced contribution of flavors, but it only really matters if you feel you need those flavors imparted. Carlos Camarena, along with Tomas Estes of Tequila Ocho, mentioned in a video that he still uses some barrels 40-50 yrs old.... and why not? I'm told he wants the old 'played out' or exhausted barrels because the tequila IS the flavor, and they do not want a heavy influence by the barrels. They don't want too much oak character or any other influences from the barrel, including tannins and coloring, so there has been minimal 'toasting' or 'burning' of the wood (charring). They are unfortunately in a vast minority though, and tequilas aged this way, would be naturally light in color and likely not influenced with any additives. I prefer that myself, since who wants a fake, dark, manipulated tequila with colorings, additives and flavorings.... NOT ME. The Mexican rules are tough on barreling and aging, and say that when opening a barrel for whatever reason, it's supposed to be witnessed by an official from the CRT. This even goes for when reconditioning a used barrel, toasting or charring, to burn out a lot of whatever was in the barrel prior. This is necessary to clean, sanitize and 'reset' the barrel. People in the know, have told me the CRT is 'supposed' to be there, even for taking samples (SEE ABOVE), as seen on askmen.com-barrel-aged-cocktails, but I'm also told that this rule is routinely broken. The regulations also say that aging containers must remained sealed during aging, and paper label seals (CRT seal) are placed in areas on the barrel, and must remain whole, until they are removed only by the Compliance Assessment Agency. Adolfo Murillo told me "the CRT places a label over the barrel bung-hole plug (SEE BELOW) of the Avion aging area, which includes info such as the lot number and date of barreling, and in order for the tequila and it's age to be legitimate, we have to alert them prior to opening barrels when we want to bottle the tequila". Once the barrel is empty, they are not involved until such barrel is filled with new tequila. So to break the seal, the CRT is supposed to be there recording it. A sneaky trick is to 'flavor' additives, which some brands endeavor to cover up, by simply naming them 'essences'. Essences or flavorings are still additives, and these can include vanilla or herbs used to alter or create a flavor. This is just artificial flavor, and another trick being presented to the tequila drinking community. Heck, even certain yeasts, like Champagne Yeast can give off fruity or citrusy flavors, and this is widely used and not the issue here. Technically a barrel which has not been overused, will not need to have additives or essences. The reason caramel coloring is used, is to add a rich and darker color to make it appear that the aging was longer than it actually was. Often it is to 'balance' the batches in appearance, so they are the same color before blending. There are brands that have actually admitted to me that they use coloring to match each 'batch', so as to keep consistency between runs. They blame us the consumer, as they say WE need to see the same color consistency each time we purchase a brand, and we would be 'alarmed' if it looked different. I don't agree, but if that's true, people need to start thinking differently. Blending of different barrels at the end before bottling, plays a major role in tequila making, and remember that although they use the barrels multiple times, they may also be blending with a fresh 'new' aged barrel of tequila as well, as this really is an art. Another tactic often used to fool the public into thinking that a particular tequila was aged longer or is richer, is to tint the bottle glass to a darkish or amber appearance. The tequila now will seem darker, and although it's still a dirty trick, if it has no additives in it, it’s still a lot better than paying extra money for a rested or aged tequila with fake colors and flavors added. Coloring and other additives usually go in after aging and before bottling. Is it ever abused?... I would say so, and it's up to your eyes and your pallet to decide. It's funny because if you were, or still are a whiskey/scotch, bourbon, cognac, or brandy drinker, I feel you are more likely to 'accept' overly oaky aromas and flavors as normal, as you enjoy this profile. Others who are more true to agave spirits, may not like that profile and would prefer a more agave forward presence. After all, taste is a personal and a subjective thing, but I wonder as so many 'crossover' drinkers are coming to aged tequilas, if many of these consumers fail to recognize their preference is for the familiar and pleasant flavors associated with oak, and have no problem accepting this, even if it's artificially colored and flavored. I'm sure the brands are well aware of this, which only makes the problem worse. I'm guessing many of these drinkers do not detect the taste of agave or try to, and it seems to take a backseat to the flavor of oak. To compensate for a light hue, it seems a large number of suppliers are placing caramel color into their aged reposado tequila or anejo tequila, although I know a good amount of quality brands, that although impossible to prove, appear not to use any additives, including colorings. This 'cutting corners' can reduce the quality of the tequila. I do believe it's safe to say that products made by the quality brands mentioned below on my favorites list, seem to be completely additive free. Charring could add smoke, or add some wood quality, but when you can taste a heavy presence of aging, like strong caramel or vanilla, and the color is dark and rich after only a short aging process..... you need to wonder about additives. One percent today, with condensed additives are enough to change things. Of course you can taste the ones that use these natural additives- as they are too sweet, too candyish, too oily etc, and it's even easier to tell the ones that really 'go to town', and totally abuse this rule. My advice...if it doesn't taste natural or has an abnormal aroma or taste, has overly strong and unbalanced flavors, or is too sweet or has a sweet aftertaste, or is too dark in color for short aging, try one of the more trusted brands below, to see the difference. Some brands have obviously taken advantage of these powerful concentrated additives, colorings and flavorings to make their brands 'profile' which they have become known for, and don't appear to be stopping. This 'adulteration' let's the tequila taste like something it's not, and adding sweeteners for example, will 'mask' the use of young agave plants that would have low brix (sugar) levels. Adding additives and or color usually occurs towards the end of production before bottling, and called 'rectification'. This is a terribly misleading and sneaky trick, but sadly...a legal practice. The more tequilas you taste and really scrutinize, the easier it gets to pick out additive flavorings. The big problem is that additives aren't required to be disclosed, although I believe they should be, even if it's 1%. So when a brand says "we are 100% additive free" there is no way you can prove it. We need to let each other know, of the 'obvious offenders', even though it's legal up to this 1% limit. Maybe it's time brands realize we are fed up with additives, and overly sweetened tequila, which is sometimes referred to as "Americanized" Tequila, as well as fake coloring. It's simply sneaky in many ways, to alter or attempt to make 'better' an 'unbalanced' or 'rough' sub par spirit, or to make it look or taste more aged than it is. In other words.... to deceive us. We deserve to know, don't you think? As Taste Tequila reported, you don't need to use additives to make a profile, if you are being creative, as Sergio Mendoza does at Don Fulano. He uses different distillation equipment and different agaves grown at different altitudes, as an alternative, and as long as you have the additional equipment, use your head, and not take the easy way out, this is a perfect solution instead of using additives. Additives can greatly change the color (SEE ABOVE- again thanks to Taste Tequila), making the appearance of longer aging, with caramel coloring. They can also use glycerin to make the mouthfeel 'rounder', slicker, thicker, oilier, sweeter and different altogether. They can change the taste, by making the tequila sweeter with sugar based syrups or "jarabes", which can also include flavors and aromas, and this isn't just agave syrup, but a number of sugar based products, like cane sugar, aspartame, corn syrup, sucralose (Splenda), and stevia. The 'jarabe' can also contain natural fruits and herbs to add even more aromas and flavors, too. The oak extract can add oak aromas and flavors found in oak barrels, helping to confuse you even further in thinking it was aged much longer than it was. Vanilla and Cocoa powder (chocolate) are also considered a type of oak extract, and although vanilla is not part of the 1% group, vanilla is something that can occur naturally in a barrel, but it is naturally 'subtle'. When you taste too much vanilla, and we call that a 'vanilla bomb', that often means extra vanilla extract powder was added. Certain producers like Felipe Camarena wouldn't dream of doing any of this, and Camarena told me "it's about credibility, not about promises from the producer". He is correct, anyone can say anything, but I will say, that after tasting all of Felipe's products and talking with him for years, he is one producer I trust solely on his word. As a matter of fact, he doesn't care if his aged tequilas look light or don't match each other in batches, and I love that. Guillermo Erickson Sauza (Fortaleza), or Felipe or Carlos Camarena are easier to believe, when they say they are additive free. Why? ....because as much as there are definitely trustworthy and talented owners like German Gonzalez and Adolfo Murillo, and I trust them just as much, the average brand that 'contracts', (meaning renting space at someones else's distillery), often have to go by practices at that distillery, and they can't be at the distillery 24/7. So who knows what a distillery may do to 'enhance' a contract brands juice, for their own convenience. I'm told that some distilleries will use additives because it's cheaper and faster to get things done, and who's to say if this is with or without the owners knowledge? Unless the distillery owns the brand, the brand may have no definite idea what's in their bottle, and they have no choice but to trust the distillery. I have been told that unless you get to see the CRT production logs, you'll never know if they have additives, and brands don't even have access to that information, it's something that only the distillery has. Frank Mendez of 'Gran Dovejo' said "we are 100% transparent which include being 100% additive free and the idea of creating GD actually came about due to the use of additives and misleading marketing practices found in the industry." Eduardo Orendain of 'Arette' said "we are 100% additive free, and we don't use caramel and yes we do have color consistency problems because of this, where some batches are lighter or darker than others." Sophie Decobecq of 'Calle 23' said we use no additives and as for caramel "this is why our color is not consistent, which is why my last anejo batch is much clearer, and I am fine with this." To be honest, I'm actually more than fine with all this myself, and I see this as a sign of integrity, and makes me appreciate these brands and respect them even more. Others like Jose Hermosillo of Casa Noble told me "we use no additives, that is why we do the kosher certification." So what do you think? do you agree with these brands? Other brands, some very popular did not answer me back on giving me their 'guarantee' and 'assurances' that no additives what so ever are used in their products. Although it can be hard to taste for sure as these people are pros, and can add them in strategically in a very subtle way, I will say that in my opinion you would be VERY surprised to know the huge percentage of brands that must be using some additive in their tequila. It's almost too easy to not do it, being legal to a certain extent, and too hard to ever get caught. YOU and only you will have to make that decision, to believe these brands by tasting and trusting them. 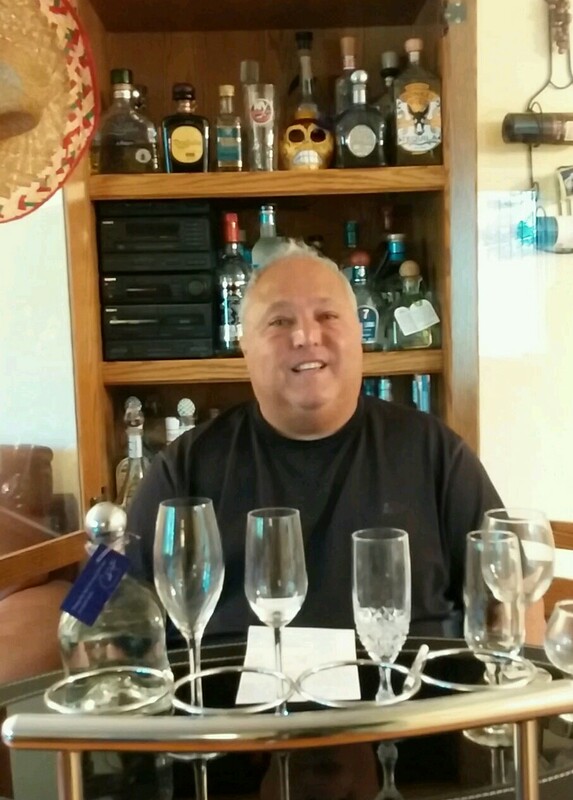 Adolfo Murillo of 'Alquimia' said "I have always worked hard to stay true to the tradition of tequila and the way it was meant to be made, so if my bottles say 100% agave, it does not mean "99%, because the CRT says it's ok". Murillo also made a great point, saying he would lose his USDA Organic Certification, if he added any other ingredients, including color. Marcos Higareda of 'DesMaDre' said "we do not use ANY additives, never used and never will use caramel coloring, and it's all natural color, taste and aromas from natural barrel aging." German Gonzalez of t1 explained he is "free of additives" for t1 products as well as his 'Tears of Llorona' as well as David Suro, who as an early believer of tequila transparency, said at 'Siembra Spirits' "we don't use any additives or artificial flavors in any of our expressions". Guillermo Erickson Sauza of 'Fortaleza' told me "we don't add any additives, and we don't make tequila for anyone", and I was told that 'Siete Leguas' never uses any flavorings, colorings, or additives, as well as 'Tequila Caballito Cerrero' and San Matias. Others gave similar statements, while others could have..... but would not. Keep in mind I only mention brands that make rested and aged expressions that I have personally tasted. Some brands I have mentioned or will mention, say they are 100% additive free, and although I do like and drink their products, I will not add them to my 'personal' list below, because I am not 100% sure. This list is small now, but I hope to add more brands if it is warranted. I respect people that want quality and are not cutting corners, and promise they will never use any additives. Good for them....and Good for us. Interestingly, another brand that is 100% additive-free told me "rarely will a distiller commit to never using color, because sometime in the future, there could be a day that some tequila comes off the barrels lighter, and distillers would rather add a couple drops of organic caramel coloring instead of jeopardizing a stock of tequila that has inconsistent color on the shelf." If that's all they ever did, I guess it's livable, although I'd prefer an 'off color' myself, and being completely additive free. We have to stop thinking a dark and rich color is always the real thing, and start thinking about realistic, clean, additive free tequila, regardless of the color or lack of color. Realize that caramel coloring is not used for adding sweet flavor, but more so, for a darker color to make the aged spirit 'look' more aged, or to change the color of batches to balance them out (consistency), in the stage called 'rectification'. Using a few drops of caramel coloring is one thing, but this additive problem seems to go much further, using these additives to cover up mistakes, a low quality product, or mask deficiencies in the final product. I'd rather have the 'natural color' after aging, and blend it that way with the other batches, without ANY colorings. Why balance a color at all?... who cares? I say keep it pure and natural. We're starting to expect this in our food, why shouldn't we expect this in our spirits? Keep in mind that technically, if you exceed the 1% total volume rule, it must be labeled as a 'licor' or a 'crema', like these (ABOVE), and that's the way it should be. The problem with additives as I see it, is even though it may be legal at 1%, it's also 'cheating' and unnecessary, and seems many brands don't act like they're using additives, as long as it's only the legal 1%. I assume these brands tell themselves that it's part of the 'tequila making procedure'. Of course they know they are using them though, as they actually have to put them in, but most will deny to me or anyone who asks them point blank, if they use additives. Remember they are saving time and money using them. What they probably say to themselves is, 'we don't exceed the 1% rule, so there is no need to discuss this at all', and as far as they are concerned ....they are NOT using additives. When 1% of total additives are used there is no requirement to tell the consumer, so I suppose for this reason, brands that put additives into their product will often make claims that they are not using any at all. Although this is perfectly legal, it is WRONG, and hopefully this will get cleared up soon on a future CRT ruling. As you can't always believe Company Reps or Ambassadors who may not know for sure, I have personally contacted many Brand Owners, Executives or Master Distillers. According to 'THEM', these brands are 100% ADDITIVE FREE. This INCLUDES the legal 1% allowance, and I made that an important point to each brand. These brands are going 'on record' here, as being an ADDITIVE FREE TEQUILA BRAND, and I have contacted a wide variety of brands to ask if they are 100% additive free. I even contacted ones that some people feel are definite abusers. I contacted Jose Cuervo, Cazadores and Sauza to ask about any additives in their 100% agave tequilas to see what they'd say. I texted, emailed, filled out forms in some cases, and attempted to call to get a statement. I never got ANY response.... Surprise Surprise. The ones that have indicated to me that they 'only' use some caramel coloring (even with no flavoring) to avoid differences in color, will not be mentioned below, as that doesn't cut it here. It doesn't mean I don't like their product or that it doesn't taste fine, but coloring is an additive.... what's not to understand? Herradura got back to me saying that they're 100% additive free including their El Jimador line of products. What do you think about that... do you agree? I mean Jimador is a diffuser product, so this is quite interesting and hard to believe for sure. Avion founder Ken Austin, said that Avion is 100% additive free, and cited the light color in the anejo. He said he can't speak for other brands made at that distillery, and although people have their opinions about Productos Finos de Agave for sure, he was clear that any sweet profile is strictly from very ripe agaves. So what do people think about all these claims? Are they true, who can you believe? What does YOUR nose and taste tell YOU? Let's discuss it. It's up to you all to decide what to believe, and although brands can tell me things, it doesn't mean I believe them or that it makes my personal list of additive free brands. Again... it's YOU that decides this. I just want to give you some statements and some brand names to explore. Although I want to trust all the brands, keep in mind that it's always possible that a distillery may do whatever it takes, so there can be no guarantee. I'm told it's possible a brand who contracts at a distillery may not even be aware if there are additives in their own tequila. Hard to believe, but I'm told it's very possible. Brands made at their own distillery can be easier to believe, when they proclaim themselves additive-free, as only the owner/distiller controls what goes in the juice. Although trusting people is always a gamble, we really do have some very knowledgeable contract-brand owners, that know exactly what is in their products, have integrity, and are way more involved than some others. Remember, as has been said before.... No brands will EVER admit to using additives, so understand that YOUR taste buds are the real test, and believing these assurances....are up to you. As I asked for their word on 100% additive free (including the legal 1%), let it be understood that misleading consumers is as far as I'm concerned, a reflection on these brands, and THEY are the ones that should look bad. I am just reporting what these brands are saying is the truth. All we can do is taste ourselves, to the best of our ability, and to believe these brands. This is a 'Hot Topic' and people will hold these brands accountable. So keep in mind the above mentioned brands that 'claim' to be 100% additive free may be just that, and most are high quality and fine tasting brands that I enjoy myself. After speaking with these brands and tasting all the tequilas mentioned, the list below are brands that passed my own personal test, and taste 100% additive free. REPOSADO (meaning 'Rested') is a blanco that is usually aged in used American whiskey or bourbon barrels. Occasionally French oak, Cognac or even Brandy barrels are used. By law, Reposado will be 'rested' for a minimum of 2 months to 1 day less of 1 yr in 200-liter (53 gallons) or larger white oak barrels or casks, all the way up to 20,000 litres (5,280 gallons). Reposado can be rested in large wooden aging Vats, called 'Pipones'. Most often, all tequila aging is done in used white oak Jack Daniels whiskey barrels or Jim Beam bourbon barrels. Since it's aged a short amount of time, and many brands only age for 3-5 months, we get the term 'rested'. Sometimes they char the wood inside the barrels to make the tequila appear darker looking or to impart a smokey and richer taste, or Reposados may be aged in 'new' wood barrels to achieve the same woody flavor and smoothness, but in less time. Reposados are usually tan/light brown and will have many tastes of the blanco, but be a bit smoother. Reposado can be bottled at exactly the 60 day mark and there will not be a huge difference from some of the 'rested' Blanco's, except that the Reposados have to be aged in oak, (usually white oak) so it WILL always have a different taste than a stainless or 'neutral' oak rested blanco. As in all aged tequilas, you start to taste oak (wood), cream, vanilla, caramel, honey, chocolate or coffee, and maybe some fruit or nutty flavors. You will also get the taste of what was in the barrels earlier, (whiskey, cognac, wine, brandy, bourbon). Give it a Try!! Reposados can be used in mixed drinks as well, but I would consider this to be the only 'rested' or aged expression used, along with the 'blancos', for mixed drinks. ANEJO, meaning 'Mature', is darker and aged longer (1 yr to 1 day less of 3 yrs). These are usually aged in smaller used white oak Jack Daniels Whiskey or Jim Beam American oak barrels, and become more complex and darker as it ages longer. Anejo must be aged in containers with a maximum capacity of 600 liters (158 gallons), but usually are aged in the minimum 200 liter barrels, and after aging of at least one year, the anejo can be removed from the wood barrels and placed in stainless steel tanks to reduce the amount of evaporation, called 'The Angels Share', that can occur in the barrels. Anejos are often rested in barrels previously used to rest reposados. Anejos are more woody (oaky) flavors appear, with caramel, vanilla, fruit, chocolate, coffee, light smoke, butterscotch, honey, cinnamon, nuts etc. Anejo starts to attract whiskey, cognac and bourbon drinkers, and are delicious sippers. Extra Anejo (XA) is a relatively new category which must be aged 3 yrs or longer. Some special tequilas like Tapatio Excelencia, after wood barrel aging is done, put the tequila in glass neutral holders for many more years. Aged Tequilas are more expensive, as they must be held longer, and often taste more like whiskey, brandy or cognac, as they get a crossover of fans here. Extra Anejos lose much of it's agave flavor, with the extended aging. Extra Aged Tequilas are usually aged in small white oak casks, of about 200 liters, but legally can go up to 600 liters. Often for a premium price, some high end XA's will age in different barrels along with or without Whiskey or Bourbon barrels, using Brandy, French Oak, Cognac or Sherry barrels. This may add a cherry sweetness and fruity profile. With Extra Anejo, even more woody (oaky) flavors appear, with caramel, vanilla, fruit, butterscotch, honey, cinnamon, chocolate, coffee, leather, smoke, banana, avocado or dry nuts. These can be very smooth, but bold, complicated, flavorful and tasty tequilas. These are the ultimate sippers, often for after dinner or with a cigar. Many use a large snifter and swirl it, to 'open up' all the flavors to get the full effect. So in the end I would say, do one of two things. 1- either stick with a producer who makes aged tequilas to YOUR liking, regardless if it's heavy caramel, vanilla, overly smooth and overly sweet, very dark and rich, oily and very oaky... without caring if they are obviously manipulated or not. 2- If quality and purity is your concern, as it is for me, go with brands that are known for NOT using additives, or don't seem to care about dark and rich consistent colors, and don't taste overly sweet, artificial, or unnaturally rich. I personally could care less about the fake dark color or fake sweet taste... I want the Real Thing.